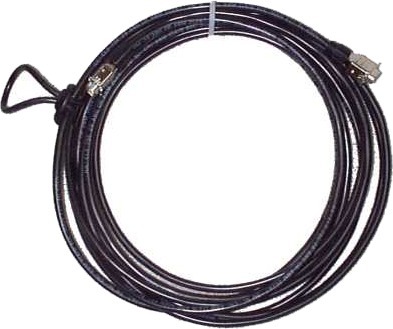 Black shielded DB9 cable connects the Sensor Housing to the Console (one 20 ft cable included with Alta and AltaCom II). Use singly or in series, with or without the J10 or J20 connector plates. Choose from stock lengths below. Custom lengths up to 100 ft. available by calling (304) 497-2756. Price is $3 per ft. and $15 per end.